TheBee is a new musical instrument I have been testing / modifying / hacking / sculpting its case and overall aesthetic design, as part of a research project, at Queen Mary University of London. Lasting almost a year. 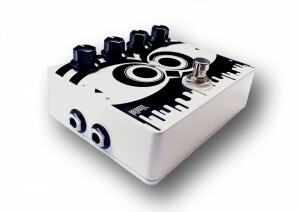 Starting with testing an early prototype and then a fully functioning instrument called the D-Box. The ‘Original instrument hardware is by Victor Zappi and Andrew McPherson, Centre for Digital Music, Queen Mary University of London’. The great thing about this research project is that I have been given the D-Box basic instrument and a load of capacitors and resistors etc and completely free reign to change / modify / hack / load my own samples on to it etc. As well as change the look of the instrument to something slightly more out of the box, taking a more sculptured approach to design a casing that would suit my performance needs, this is a work in progress. 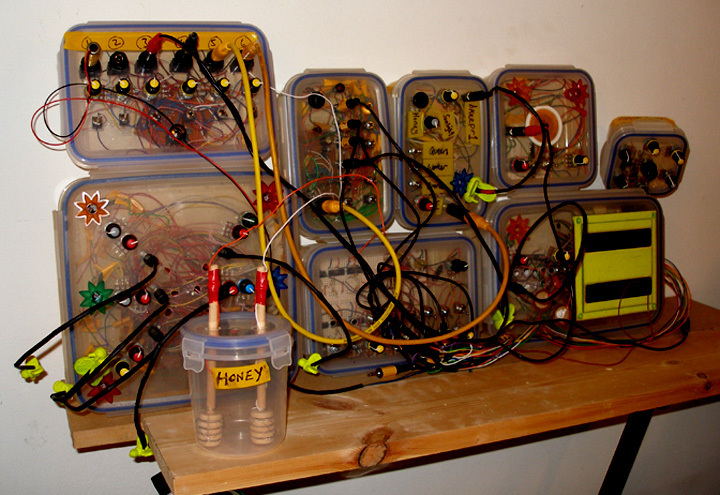 It uses some clever programming software called Bela by Victor Zappi and Andrew McPherson to give low latency playback of samples (my bee hive samples and bee synth recordings are loaded on to it). Using ‘partial analysis files’ it breaks the sounds down into tiny segments. Partial analysis decomposes audio files into a set of sines, which change volume and frequency over time. When played altogether [according to Fourier Series theory], they highly resemble the original file. The Bela software is an open-source ultra-low-latency embedded audio platform with high performance audio and sensor processing. For instrument makers, hackers, developers. The touch sensors on the original instrument and the extra modifiers I have added, to change the playback sample, it’s speed and the sensitivity of the sensors. These are all plugged into a Beaglebone Black mini computer (similar to a Raspberry Pi). More on the D-Box here. After a name change and Kickstarter funding success the platform is now called Bela and is described as ‘an open-source embedded platform for real-time, ultra-low-latency audio and sensor processing on the BeagleBone Black’. 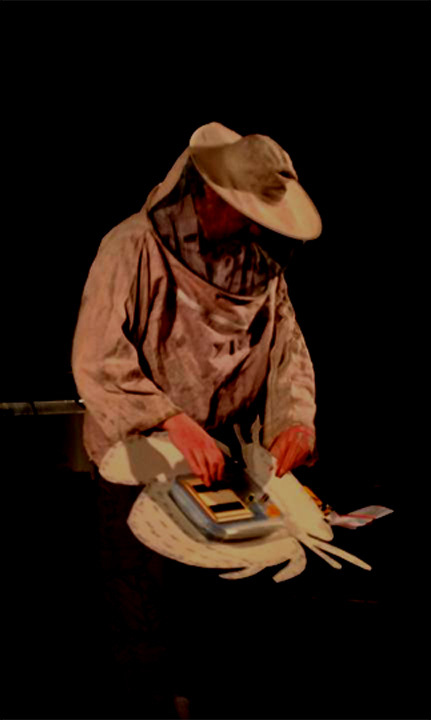 The Binaural Beeframe EMF Detector (c) Bioni Samp 2012 was used for the video and audio recording….